The 118th U.S. Open is officially in the books and as expected, it had a little bit of everything: controversy, history, new records, lucky bounces, some very good scores and way too many bad ones. On Friday, South African Dean Burmester jarred his approach shot on the 18th for an eagle 2 while a few holes back Graeme McDowell splashed a perfect bunker shot only to watch it hit the flagstick and ricochet back into the bunker. For four days, players watched in disbelief and horror as well-struck shots ended up in spots that were barely on the map. But there were good scores too – just not enough of them to give anybody the kind of momentum they need to go out and win a major. What happened to all the favourites? Winning major championships is supposed to be the realm of elite players and they usually get undue attention in the lead-up. This year was supposed to be an even more wide open Open with anybody in the World Top 20 having a decent chance of hoisting the U.S Open trophy. The USGA likes to play the favourites too by creating featured pairings. Maybe they should be called the ‘kiss of death’ instead. One of the featured pairings included Rory McIlroy, Jordan Spieth and Phil Mickelson. On Thursday, they were a combined 25 over par. Only Phil made the cut. Nobody gets more attention than Tiger Woods. This was supposed to be his big breakout, at least according to his fans. But Tiger started triple bogey-bogey and never recovered. Likewise, Sergio Garcia, Jon Rahm and Jason Day were all MIA by Friday evening. 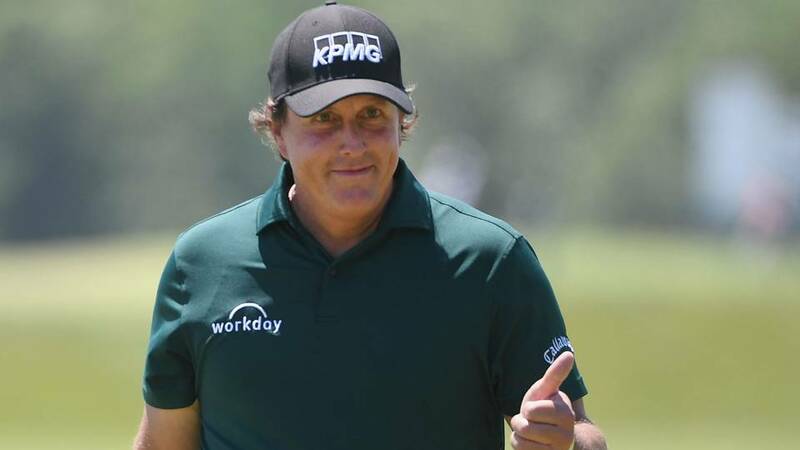 Of the elite players that made the cut, Rickie Fowler shot 84 on Saturday; Hideki Matsuyama shot 79; and Phil Mickelson recorded a questionable 81 (see below). 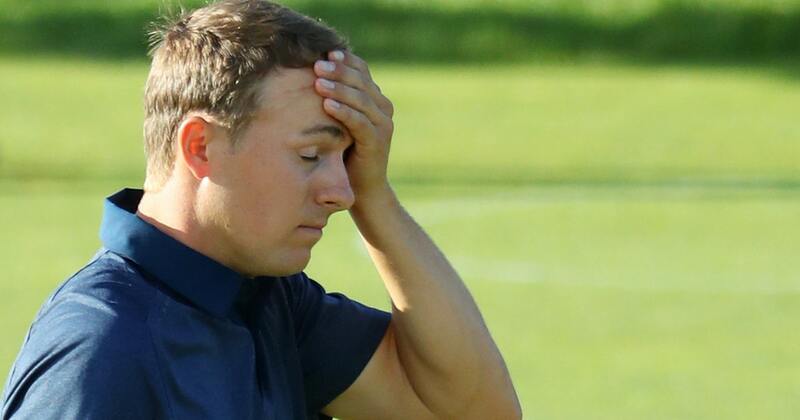 Only Dustin Johnson, Justin Rose, Tommy Fleetwood, Henrik Stenson and Brooks Koepka managed to make it to Sunday relatively unscathed. And in a final bit of irony, Daniel Berger and Tony Finau, not even remotely mentioned as potential victors, played in the last group on Sunday because they has each shot 66 on Saturday as the rest of the field backed up. Brooks Koepka may have his name on the trophy again but as is often the case at a U.S. Open, the course was the real winner. How good is Tommy Fleetwood? 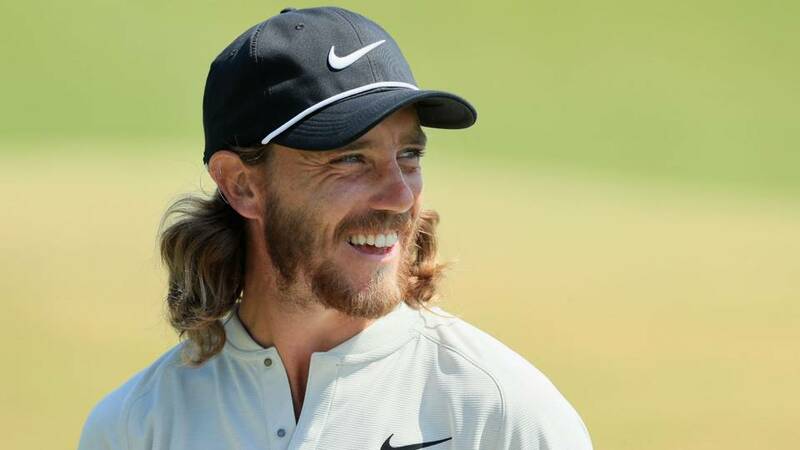 The 27-year old long-haired Englishman may look like a caddie that was asked to fill in for a missing member in a Sunday fourball but don’t let appearances fool you. This guy can play with the best in the world as he showed at the 2016 Ryder Cup or winning four European Tour events or wrapping up last year’s season long Race to Dubai. Fleetwood proved it once again at Shinnecock Hills. As the field retreated in the winds during Saturday’s disastrous third round, he posted a 78 to fall to +9, six shots out of the lead. However, playing almost 2 ½ hours in front of the leaders on Sunday, Fleetwood did what only a handful of other golfers have ever done in a U.S. Open. He shot 63. He came within inches of making it a 62 but his 8-foot birdie putt on the 18th slid agonizingly past the hole. Nonetheless, his 63 tied the record for lowest round ever in a U.S. Open and as we all know, when Johnny Miller did it on a Sunday in 1973, it was good enough to secure him his first major. Unfortunately, Fleetwood didn’t enjoy the same result. Despite some last hole drama, American Brooks Koepka managed to finish one stroke ahead of the Englishman to claim his second consecutive U.S. Open title. Fleetwood isn’t going home empty handed though. He has a second-place cheque for $1,296,000 US and the knowledge that he can play with the best in the world in the most critical events. His record over the last twelve months should make him a favourite for the Open Championship at Carnoustie in July. What would a U.S. Open be without controversy? In its annual quest to determine the best golfer in the world, the USGA tries to set up the golf course to test every aspect of a player’s physical and mental skill. They lengthen holes, narrow fairways, grow the rough and speed up the greens in an effort to eliminate the weak and undeserving. Even though they say they make allowances for weather, Mother Nature doesn’t always stick to the script. Such was the case on Saturday. Several holes at Shinnecock Hills were perched awfully close to precipitous run-offs. 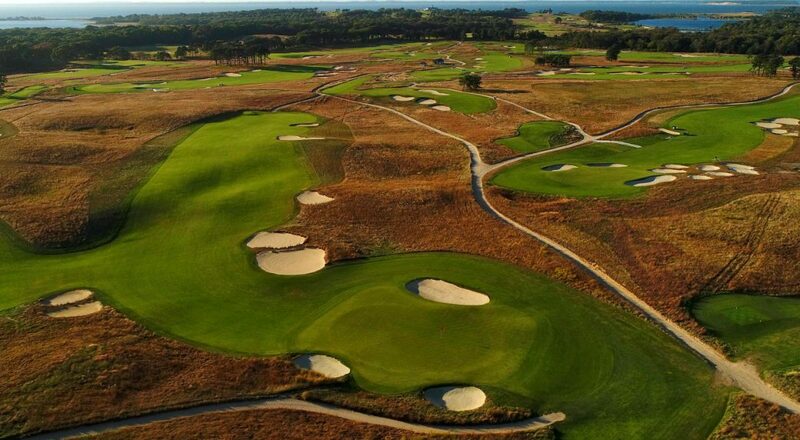 Under normal circumstances, the pin positions might be considered marginal but with the greens so shiny they glowed in the sunlight and the coastal winds buffeting the flags, there was no margin at all. They were unfair and USGA Executive Director Mike Davis admitted as much in a mea culpa to TV viewers late in the day. After controversies regarding course set up and rules at the past three Opens and others dating back at least to the last time they were at Shinnecock, it would have been nice if this year was uneventful but that doesn’t seem to be the USGA way. What the heck was Phil Mickelson thinking? On Saturday, Mickelson hit his bogey putt on the 13th hole too hard and it began picking up steam as it raced past the hole. It would have trundled down the hill and 30-40 yards off the green if Lefty, showing a bit of uncharacteristic speed, hadn’t chased the ball down and batted it back towards the hole. After marking his ball, he two putted for an 8 and added a two-shot penalty for hitting a moving ball (Rule 14-5). When asked about his actions afterwards, Mickelson acknowledged that he had thought about doing it before and tried to spin this as a) a smart move in a bad situation, b) a temper tantrum brought on by questionable USGA pin positions and c) temporary insanity. The Rules Committee debated whether Rule 1-2 might be more applicable. That Rule is used when a player stops or deflects a ball to gain an advantage and also carries a two-shot penalty. However, in the case of a serious breach, it also allows for disqualification. Since Phil had hit his ball and not stopped or deflected it, the USGA went with Rule 14-5. Most golf fans and media disagreed. Their consensus? Phil should have been DQ’s. When a player intentionally breaks the rules to gain an advantage, it’s cheating! Oddly, not many people gave Brooks Koepka much of a chance of winning the 118th U.S. Open. As the defending champion he did get a few mentions but his victory last year at Erin Hills almost has a taint to it, as though it’s not a legitimate win. The course wasn’t a typical U.S. Open course; it was soft; it was a bomber’s course. All those things may be true, but you can only play the hand you’re dealt, and Koepka parlayed his into a 16-under score that blew away the field. Then he injured his left wrist and didn’t play for three months. He only has one other PGA Tour win. And the clincher? Nobody has won back-to-back U.S. Opens since Curtis Strange 30 years ago, so it probably can’t be done. But Koepka did have at least one thing in his favour. He was the ONLY player in the field that could possibly repeat. And all week long, he told anybody that would listen, “There’s no one here that is more confident than me.” On Sunday, he showed why. He drove the ball as long and straight as World #1 Dustin Johnson; he hit his approaches closer; and when he did get into trouble, he banged in clutch putts with authority. There was nothing timid or tentative about his game. In the USGA’s version of “last man standing”, Koepka went out and won it. In doing so, he joins Strange, Ben Hogan, Bobby Jones, Ralph Guldahl, Johnny McDermott and Willie Anderson in a very exclusive club. Very exclusive indeed.